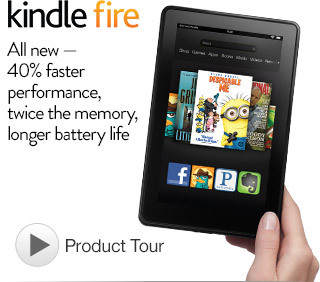 Kindle Fire $129! + Free Shipping! Crazy Low Price! HURRY!!!! For just TODAYyou can grab a Kindle Fire for only $129 as part of the Cyber Monday on Amazon, use coupon code FIREDEAL at checkout! Thanks MyLitter! Why buy an iPad mini? This is basically the same thing, just $300 less! Tiffany got one last year for Christmas and she LOVES it, the kids LOVE it too. She puts movies on it from Amazon all the time, and the kids use it for books. I remember watching the Christmas Classics like Rudolph the Red-Nosed Reindeer and Frosty the Snowman every Christmas growing up. You can grab The Original Christmas Classics Gift Set on DVD for only $14.99 or The Original Christmas Classics Gift Set [Blu-ray] for only $21.49. If you missed out on the Masterbuilt 20010109 Butterball Professional Series Indoor Electric Turkey Fryer last week when it was on a quick Lightning sale you have another opportunity to get it. This Electric Turkey Fryer is only $79.99 (was $179.99). Amazon prices change without notice, click HERE and order yours. The Kindle Fire is one of the HOTTEST Christmas purchases of the season. Cover and protect your Kindle with the Slim Fit Leather Case Auto Sleep/Wake for Kindle Fire HD 7-Inch Tablet is only $9.99 (was $19.99). 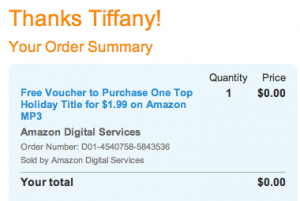 FREE Voucher for $1.99 MP3 at Amazon! Amazon Local Deal! 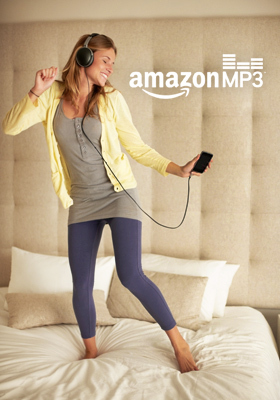 Today at Amazon Local you can get a free voucher for a $1.99 Amazon MP3 credit!. This credit is for Holiday Music. YAY!! I have posted before about how I waited forever to start getting music from Amazon because I usually use iTunes. Well, I started getting some from Amazon because it is cheaper and they offer free credits all the time. I was so proud of myself for setting up my music account, it was SO EASY, I didn’t even have a teenager help me! The music goes right to my computer and then I sync it to my iPod. EASY. Go HERE to get your FREE $1.99!